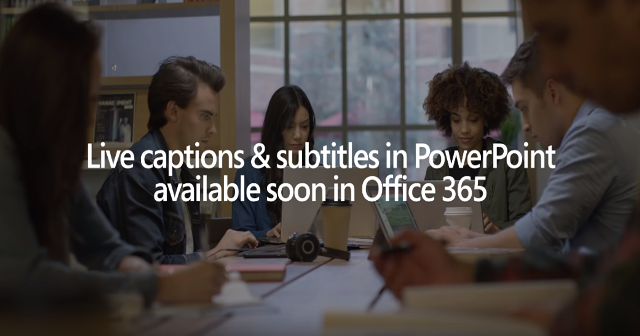 Early next year, Microsoft Powerpoint will have real-time captions and subtitles. This feature would be beneficial especially to the deaf or people who have a hard time in hearing. Powerpoint would also allow presenters to include translations in their pieces. The application will be equipped with support to 12 spoken languages and 60 on-screen languages. The live captions and subtitles is part of Microsoft’s ongoing artificial intelligence work to make communication easier. In a posted video, Microsoft also showcased how the live captions and subtitles would look like. The live captions and subtitles for Microsoft Powerpoint would be highly customizable. Presenters will have control of the captions’ appearance, and the speech recognition feature would be fairly accurate. These new Microsoft Powerpoint offerings seem impressive so far, and would make for easier communication during presentations.